This item is being produced as a one-time series. 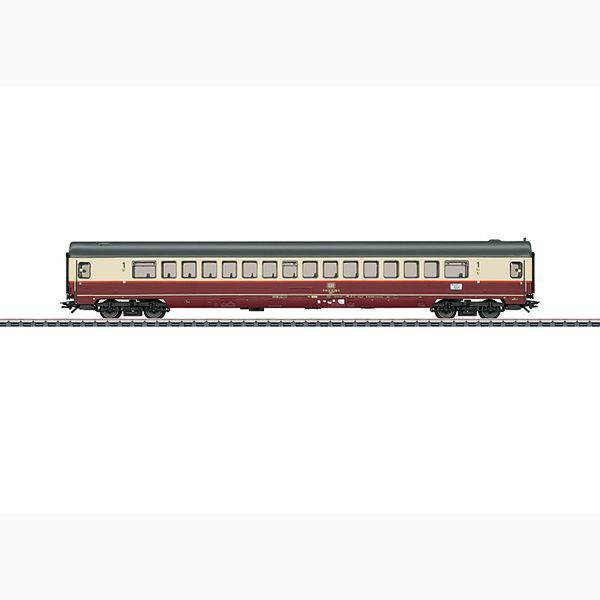 Starting in May of 1965, the "Rheingold" with its rich tradition ran as a Trans-Europe-Express (TEE) in the two-color TEE paint scheme of crimson below the window line and ivory in the window band. Starting May 23, 1982, the train run was reduced to the routing Amsterdam – Basle SBB. One year later there were only two TEE trains left: the "Mediolanum" (Munich – Milan) consisting of FS cars and the TEE 7/6 "Rheingold", now seen as more of a tourist attraction. In 1983, all of the Rheingold cars were given an orange stripe below the windows. To increase the attractiveness of the "Rheingold" again, the DB reactivated the "Munich Offshoot" as TEE 17/16 for the Summer Schedule of 1983. Its slogan now went "Romance instead of Speed", because the route ran from the separation station of Mannheim through the Neckar Valley to Stuttgart, from there through the Rems Valley to Aalen, further along the single track line to Donauwörth and then rapidly via Augsburg to Munich. Intermediate stops were Heidelberg, Eberbach, Heilbronn, Schwäbisch Gmünd, and Nördlingen. Initially, the offshoot train only ran in the summer schedule period. With the Summer Schedule of 1984, the division of the train was done in Mainz. Since the commercial success of the offshoot train remained elusive, the DB tried a new variant on June 2, 1985: The offshoot train now ran all year and used the more direct and faster route Mainz – Heidelberg – Stuttgart – Ulm – Munich and the train was even given a summer extension to Salzburg. 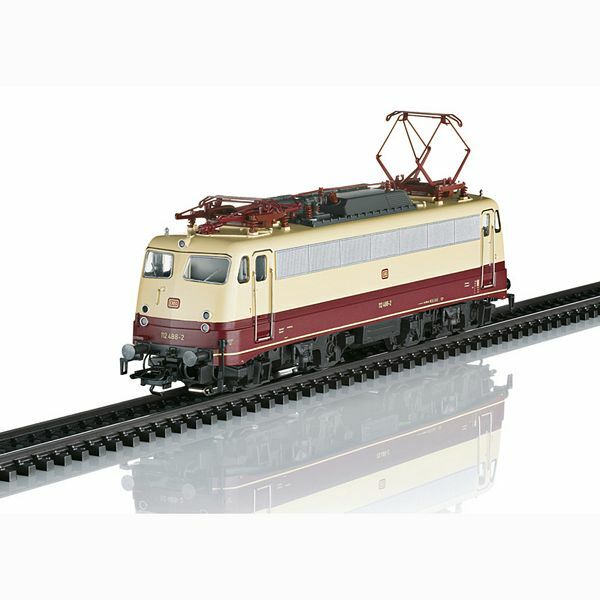 Yet with the start of the summer schedule on May 31, 1987, the last TEE "Rheingold" still running in Germany including its offshoot was dropped completely with the introduction of the EuroCity trains. In the club car beer on tap and snacks were served from the small bistro to satisfy passenger thirst and hunger. Music and folklore groups were engaged especially from time to time to provide entertainment. In the beginning, class 112 electric locomotives were used as motive power for the offshoot train between Mannheim and Stuttgart. They were a modified version of the proven class 110 units with more streamlined, aerodynamic box-style construction ("Bügelfalte" / "Pants Crease") and trucks adapted for 160 km/h / 100 mph. 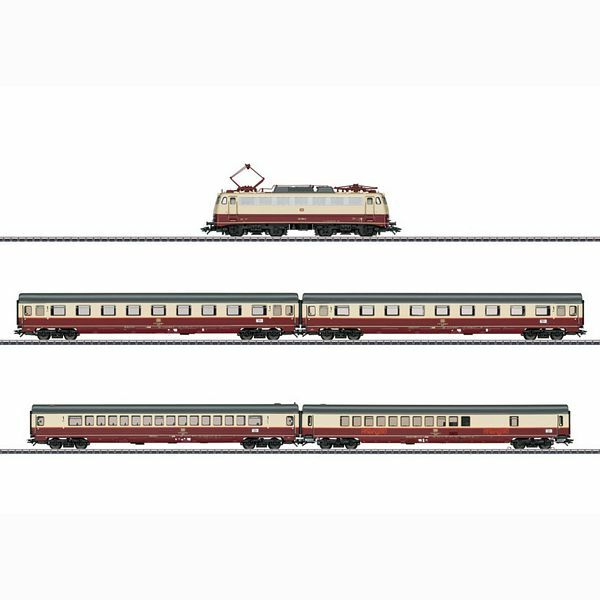 Marklin exclusive special model - produced in a one-time series. Marklin close couplers in standard pocket with pivot point.